Mortgage rates dropped to the lowest level on record for the sixth time in seven weeks, offering the most attractive opportunity in decades for those who qualify to refinance or purchase a home. Government-controlled mortgage buyer Freddie Mac said Thursday that the average rate for 30-year fixed loans this week was 4.49 percent, down from 4.54 percent last week. That's the lowest since Freddie Mac began tracking rates in 1971. The average rate on the 15-year fixed loan dropped to 3.95 percent, down from 4 percent last week and the lowest on record. Rates have fallen since spring as investors seek the safety of U.S. Treasury bonds. That has lowered the yield on Treasurys. Mortgage rates tend to track those yields. Low rates have sparked some activity in the weak housing market, but not a massive boom in refinancing. 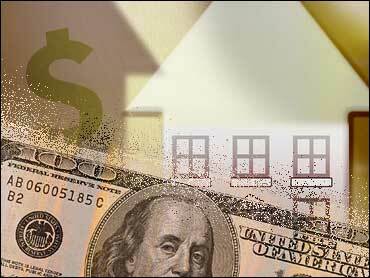 Applications to refinance loans increased 1.3 percent and those to purchase homes increased 1.5 percent, according to the Mortgage Bankers Association. Nevertheless, high unemployment, slow job growth and tight credit have made it difficult for many to purchase homes. The housing industry received a boost this spring when the government offered homebuying tax credits, but housing activity has plummeted since they expired in April. The number of buyers who signed contracts to purchase homes plunged in June to the lowest level on records dating back to 2001, according to the National Association of Realtors. Rates on five-year adjustable-rate mortgages averaged 3.63 percent, down from 3.76 percent a week earlier. Rates on one-year adjustable-rate mortgages fell to an average of 3.55 percent from 3.64 percent. The rates do not include add-on fees known as points. One point is equal to 1 percent of the total loan amount. The nationwide fee for loans in Freddie Mac's survey averaged 0.7 a point for all loans.